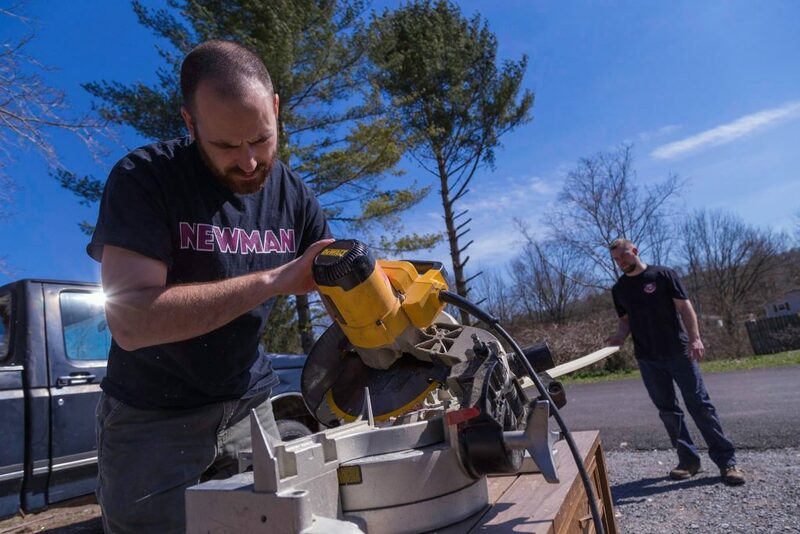 This past March, a group of 15 Theological College students spent Spring Break on a mission trip serving the poor in far-southwest Virginia, undertaking three home repair projects. 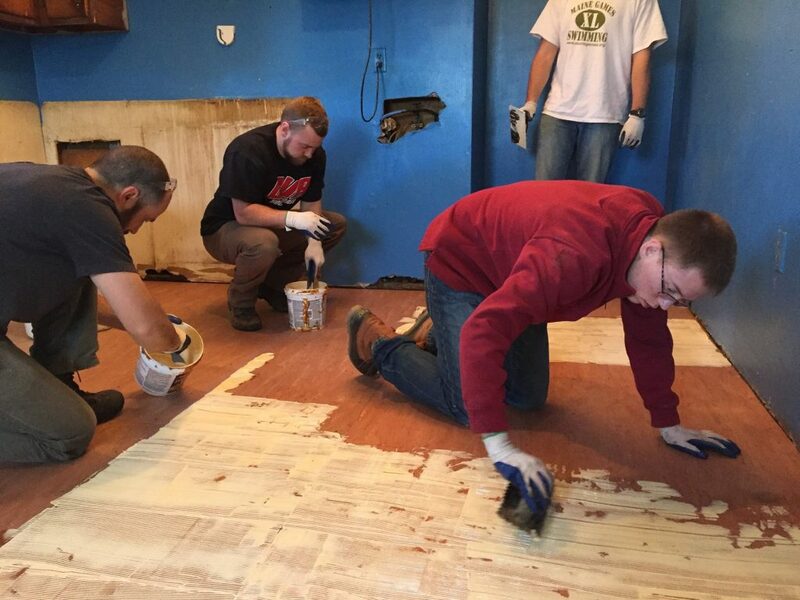 The group worked with an organization called Appalachia Service Project (ASP), which regularly hosts volunteer service trips out of Jonesville, VA — a small town near the tri-state border of Virginia, Kentucky, and Tennessee. 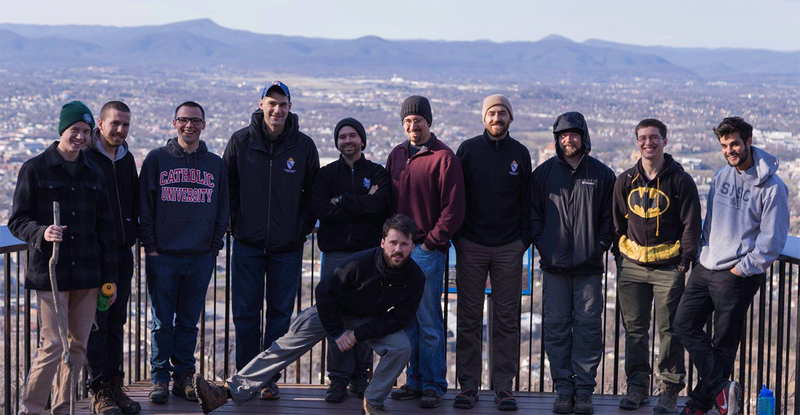 This was the second year Theological College worked with ASP in developing a Spring Break Service Trip, thanks to the vision of Kevin Riedel— a rising Second Theologian studying for the Diocese of Richmond. During his first year of formation, Riedel saw an opportunity for an “alternative spring break” option. He decided to take the risk and pitch a mission trip to the house and generated some interest. A small yet committed crew took the plunge for the service trip’s inaugural year, and thanks to their rave reviews and powerful witness, a much larger group stepped up for this year’s trip. “We wanted it to be relaxing, yet productive,” he explained. Riedel obviously hopes this positive momentum continues in year’s to come. “My inspiration to join the group was to give back to the poor and to the people of the Diocese of Richmond,” said Deacon Melendez, another Richmond seminarian who was the 2016-17 Social Justice Committee chairman at Theological College. However depressed the region has become, ASP has had a tremendous and visible impact. Not only do they provide much needed home renovations, they also embody a compassionate commitment and loving presence to the residents themselves. One line in the Appalachian Service Project’s mission statement reads: “When we move to help those in need, God moves in our hearts.” This Christ-centered approach to serving the people of Appalachia has made the organization an indispensable fixture to the community and a strong advocate for the local people. 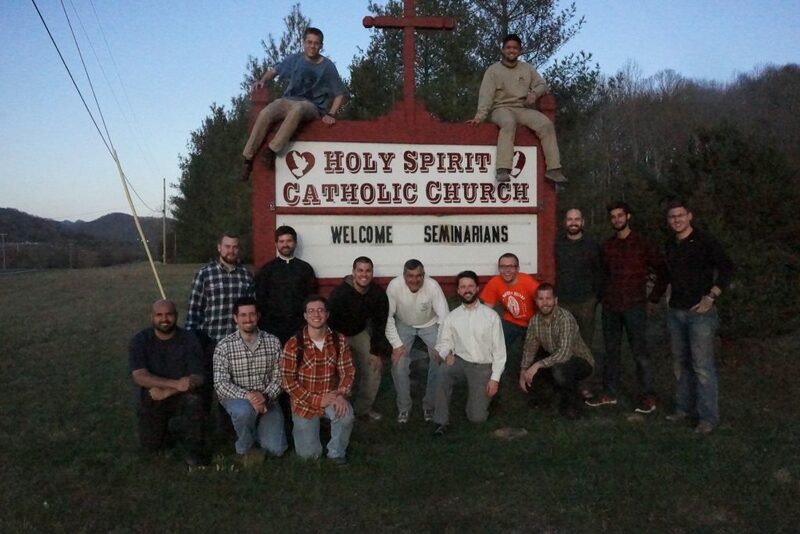 Theological College seminarians witnessed this positive impact first hand as soon as they arrived at their worksites. It was clear from the start that ASP took the time to really find those who were most in need and had already built solid relationships with the people who lived there. 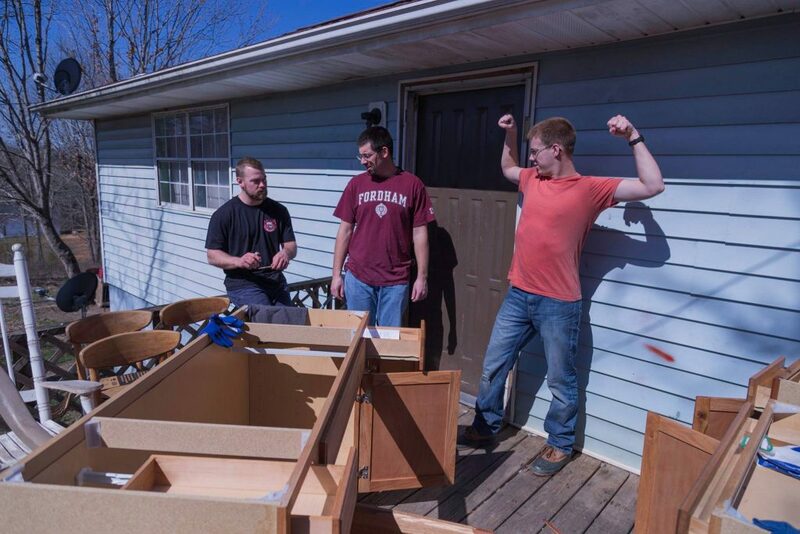 The TC seminarians were divided into three project teams, each with their own separate worksite. One team was tasked with repairing a roof and building a deck. Another team constructed a wheelchair ramp. The third replaced a subfloor and kitchen cabinets. Beyond the manual labor, teams also took the time to really get to know their residents — listening to their stories, asking them questions about living in Lee County, and even praying with them. Each team worked hard all week long to complete their projects — ending each day with a beautiful daily mass at the nearby Holy Spirit Catholic Church. Father Dustin Dought, of the Diocese of Lafayette, who is completing a licentiate in liturgical studies at Catholic University, celebrated mass each day for the crew. Daily mass was a rare opportunity for the parishioners of Holy Spirit parish, who normally only have a single liturgy on Sunday mornings. One priest is responsible for three parishes in the area, each almost an hour apart from one another. On any given Sunday, only around 25 parishioners come together for the celebration of the Eucharist, so to welcome a large group of men discerning the priesthood was a huge blessing for them and a sign of hope for the Church. Parishioners very graciously held a potluck dinner one night for the work crew, as a token of gratitude and hospitality. With this year’s Spring Break Service Trip in the books, Kevin Riedel and company are already looking forward to next year’s service trip. Through God’s grace, Riedel hopes this will become a venerable tradition for years to come!